Ranveer Chandra is a Senior Researcher in the Mobile Computing Research Center at Microsoft Research. His research is focused on systems issues in computer networks. As part of his doctoral dissertation, Ranveer developed VirtualWiFi. The software has been downloaded more than 150,000 times and is among the top 5 downloaded software released by Microsoft Research. It is also shipping as a feature in Windows 7. Among several other projects, Ranveer is co-leading the white space networking project at Microsoft Research. He was invited to the FCC to present his work and spectrum regulators from India, China, Brazil, Singapore and US (including the FCC chairman) have visited the Microsoft campus to see his deployment of the world’s first urban white space network. Ranveer has published more than 35 papers, and filed over 40 patents, 12 of which have been granted. His research has been cited by the popular press, such as CNET, MIT Technology Review, Scientific American, New York Times, WSJ, among others. He has won several awards, including best paper awards at ACM CoNext 2008 and ACM SIGCOMM 2009, the Microsoft Research Graduate Fellowship, the Microsoft Gold Star Award and the MIT Technology Review’s Top Innovators Under 35, TR35 (2010). Ranveer has an undergraduate degree from IIT Kharagpur, India and a PhD from Cornell University. Joshua R. Smith is an Associate Professor in the departments of Computer Science and Engineering and Electrical Engineering at the University of Washington, Seattle, where he leads the Sensor Systems research group. He is an Allen Distinguished Investigator, he is the thrust leader for Communications and Interface in the NSF Engineering Research Center (ERC) for Sensorimotor Neural Engineering, and he is the theme leader for Low Power Sensing and Communication in the Intel Science and Technology Center for Pervasive Computing.In recent years his research as focused on wirelessly powering and communicating with sensor systems in applications such implanted biomedical electronics, ubiquitous computing, and robotics. Previously, he co-invented an electric field sensing system for suppressing unsafe airbag firing that is included in every Honda car. 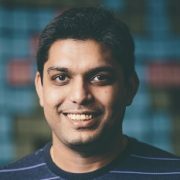 He is the editor of a book entitled “Wirelessly powered sensor systems and computational RFID” (Springer, 2013) that includes his work in this area as well as related work by other researchers. He received B.A. degrees in computer science and philosophy from Williams College, the M.A. degree in physics from Cambridge University, and the Ph.D. and S.M. degrees from the MIT Media Lab’s Physics and Media group. Deepak Ganesan is Associate Professor in the Department of Computer Science at UMASS Amherst. He received his Ph.D. in Computer Science from UCLA in 2004 and his bachelors in Computer Science from IIT, Madras in 1998. He has received the NSF CAREER Award, the IBM Faculty Award, and a UMass Lilly Teaching Fellowship. Most recently, his work recently received a Best Paper Award at ACM CHI 2013, and an Honorable Mention for Best Paper Award at ACM Ubicomp 2013. He was a Program co-chair for ACM SenSys 2010 and IEEE SECON 2013.